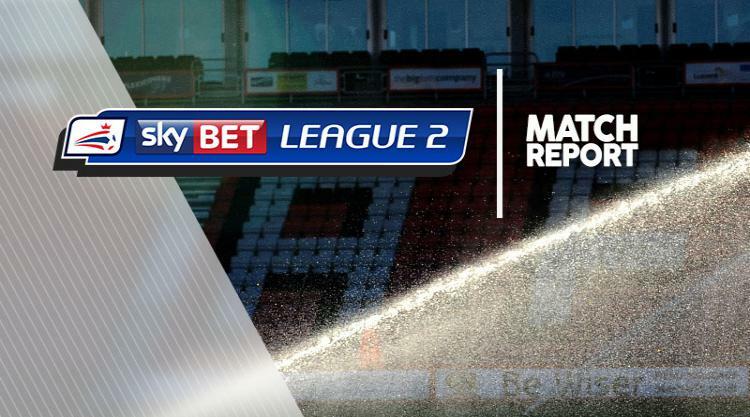 Notts County continued their sensational form as they stretched their unbeaten run to eight Sky Bet League Two games with a 4-1 win over 10-man Lincoln. Lincoln started strongly as Josh Ginnelly saw an effort tipped over the bar by goalkeeper Adam Collin and from the resulting corner, defender Sean Raggett headed over when unmarked. But just as the Imps were seeking a breakthrough, the pendulum swung in the Magpies' favour when midfielder Billy Knott was dismissed for a high foot on Ryan Yates. County then forced themselves in front when Rob Milsom's 39th-minute cross was hooked in by Jon Stead via the aid of a deflection. But Lincoln, to their credit, were level just after the break when Harry Anderson nodded in at the far post from Ginnelly's cross. Their joy was short-lived, however, when Stead did brilliantly to pick out Matt Tootle in the box and his low drive flew into the bottom corner on 55 minutes. Jorge Grant then made it 3-1 with a magnificent 25-yard free-kick on 71 minutes before Terry Hawkridge produced a clinical finish against his old club at the death to seal the win.